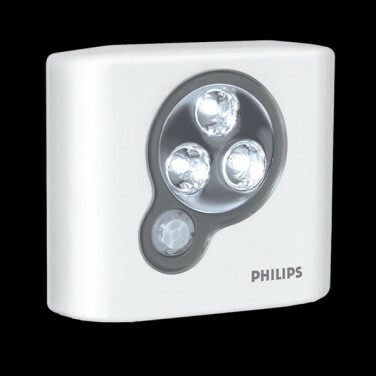 Provide comforting light at night with the Spot On Motion Sensor Light. This handy light will automatically turn on when it senses movement, giving your child reassurance and a guide light at night. Light stairs, hallways, landings, cupboards and garages in fact the possibilities are endless! The Spot On Motion Sensor Light is just that, and so if you need the convenience or safety of light, this handy little light will automatically turn on when it senses movement providing visibility just when you need it! This practical light can be wall mounted and comes complete with screws and double sided fixing tape, and also includes a daylight sensor so that it knows not to turn on during daylight hours saving on battery power. Perfect!